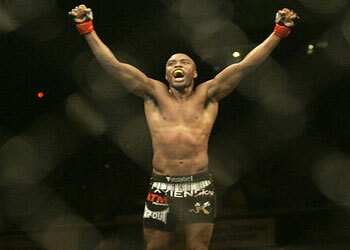 With all of the criticism he’s received since his win over Thales Leites at UFC 97, UFC middleweight champion Anderson “The Spider” Silva will get a chance to speak his mind about all of it this Friday. Silva will be joined by his manager, Ed Soares, who we assume will translate for Silva during the broadcast. UFC president Dana White said that he was disappointed in Silva’s second consecutive lackluster performance and that he may move him back up to the light heavyweight division to get a better performance out of him. We’ll see what the pound-for-pound best fighter in the world has to say this Friday.